I meant to write about this when it happened, but I was busy getting ready to fly to Italy for a conference (I know, I know) and so I didn’t get the chance. But I think Clay Shirky pointed out something interesting in a recent conversation with New York Times public editor Margaret Sullivan about what the future holds for traditional media entities like the Times — and it’s something that I confess had not really occurred to me. 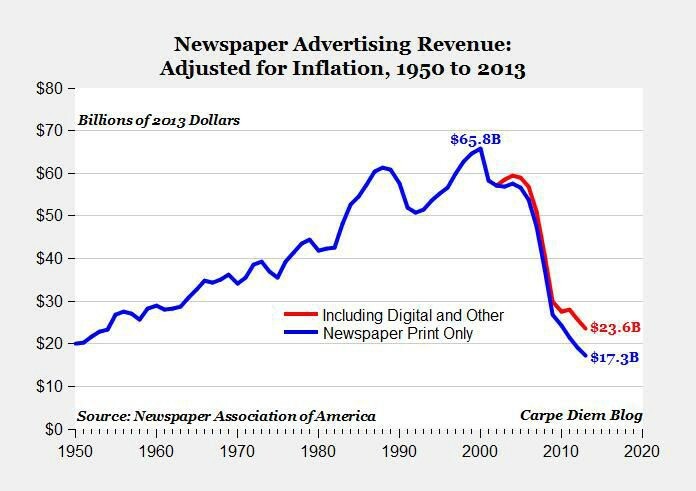 Namely, the idea that instead of declining slowly over time, print advertising revenue could suddenly hit another cliff and go into free fall. The subject came up after Sullivan posted a column about the Times’ continued reliance on the print side of its business, something that still generates over 70 percent of the company’s revenue — as it does for most newspapers. According to the public editor, more than a million people still buy the Sunday paper each week, a number that has declined from 1.8 million in 1993. 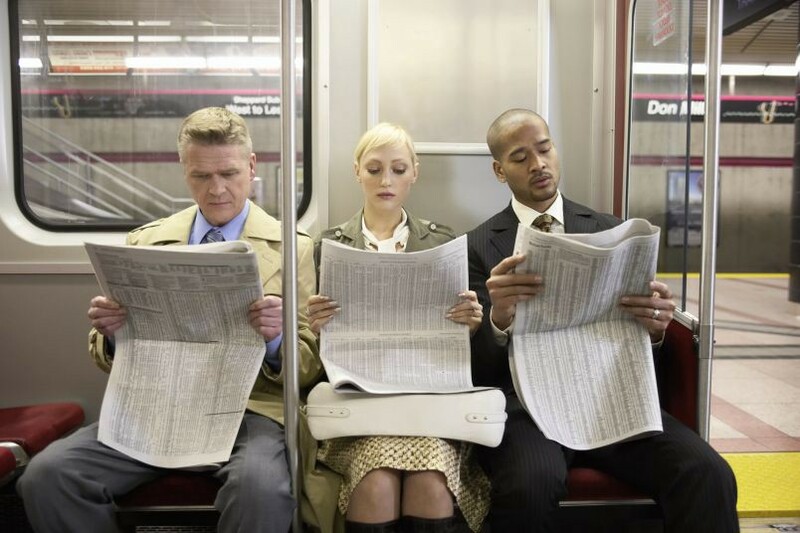 The average age of a print reader is 60. The suggestion from Times executives was that print would likely be around for some time, and that print subscribers and advertising would also likely continue to generate a large chunk of revenue for some time. But in an emailed response to the column, Shirky suggested a “darker narrative” — in a nutshell, he said he expected the pattern of print-revenue decay, which is currently fairly slow, to accelerate. Is Shirky right about a second cliff? I don’t really know. But I think his argument should be required reading for newspaper executives who still believe that the decline of print advertising revenue and readership will be a gradual sailing-off-into-the-sunset kind of affair. It could be anything but. Sullivan said she plans to post more about her conversation with Shirky, so hopefully this discussion will continue.